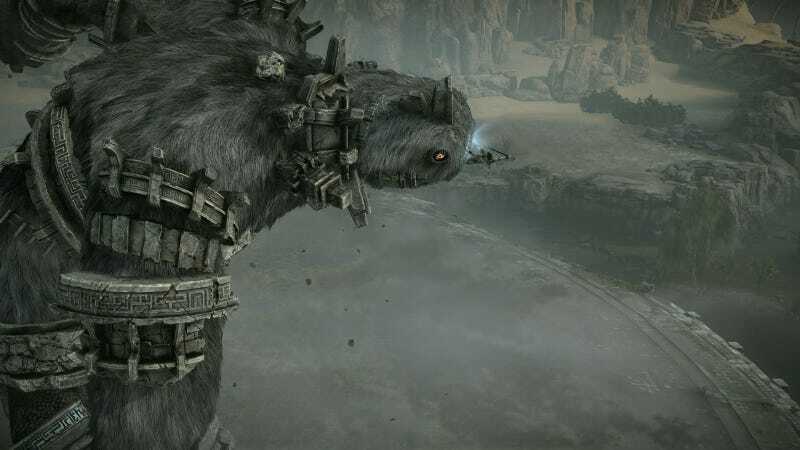 Shadow of the Colossus battles are supposed be dangerous clashes against massive foes, but a new boss rush world record highlights some intense climbing tricks and AI foolery that turns the game’s iconic beasts into pushovers. The boss rush speedrun was completed by ChurchNEOH using the current-gen HD remake, but many of the techniques work across all versions. The game’s boss rush mode is normally used to unlock special items like the parachute and damage-boosting masks. Here, the mode allows ChurchNEOH to focus only on the boss fights and none of the overland exploration and travel time. His run clocks in at an impressive 36:23, and he uses some non-traditional climbing methods to kill colossi much faster than intended. Colossi work more like puzzles than traditional boss fights, each with their own weak points and intended paths. For instance, the fourth colossus is usually defeated by drawing its attention and then hiding underground in order to leap onto it from behind. This is a slow process complicated by uncooperative AI. A much easier method is to simply ride over on your horse and leap at the right time. Speedruns make it look easy, but I can tell you from experience that it takes near perfect timing to land where you want to go. This boss rush makes it look effortless. In other cases, ChurchNEOH manages to exploit some strange enemy behavior to lock the monsters in looped animations that allow for easy stabbing. Bosses normally sway and kick, making it hard to hold on and stab them. You can see this in action during ChurchNEOH’s fight with the 14th colossus, Cenobia. Normally, you trick it into ramming pillars before leaping on its back. It then runs around in an attempt to buck the player off. Instead, ChurchNEOH catches it near the edge of the arena, stabbing in key spots to lock it in a looping animation for an easy kill. Speedruns like this are a great chance to see games with clumsy controls become precise and coordinated. The quick boss rush condenses Shadow of the Colossus into a spectacle where one tiny human is basically a freako death flea with mad ups, which I guess is also the plot of the main game.